Bleacher Report has ranked Bears veteran Akiem Hicks as the best 3-4 defensive end in the NFL for the 2017 season. "His response to his first blockbuster contract? An 8.5-sack season, an elite year for an interior defensive lineman. According to Pro Football Reference, Hicks recorded 19.5 tackles at or behind the line of scrimmage in 2017. … Expect Hicks to become a household name soon." Ranked in five separate categories, Hicks earned 81 of a possible 100 points in snap quickness (13/15), pass rush (21/25), run defense (26/30), tackling (14/20) and position value (7/10). Well deserved and way overdue. How the hell this guy isn't invited to the pro-bowl?, freaking ridiculous. Talk about being snubbed, just don't understand how a player can be overlooked with those numbers.....smh! The Pro Bowl is a popularity contest. Bears have sucked for 5 years now and the fans are so apathetic they no longer vote. This is why Hicks was snubbed. We, as fans, did not vote for him enough. I know I voted for him and for Howard, Cohen, Whitehair and Leno. Did you all vote? When the Bears were good, Bears fans voted multiple times. (This also explains how that pile jumper Briggs made the Pro-Bowl) a few 7-9 or worse seasons and he would not have gotten enough votes. More important than ProBowl nods......All-Pro votes have more meaning in my book anyway. 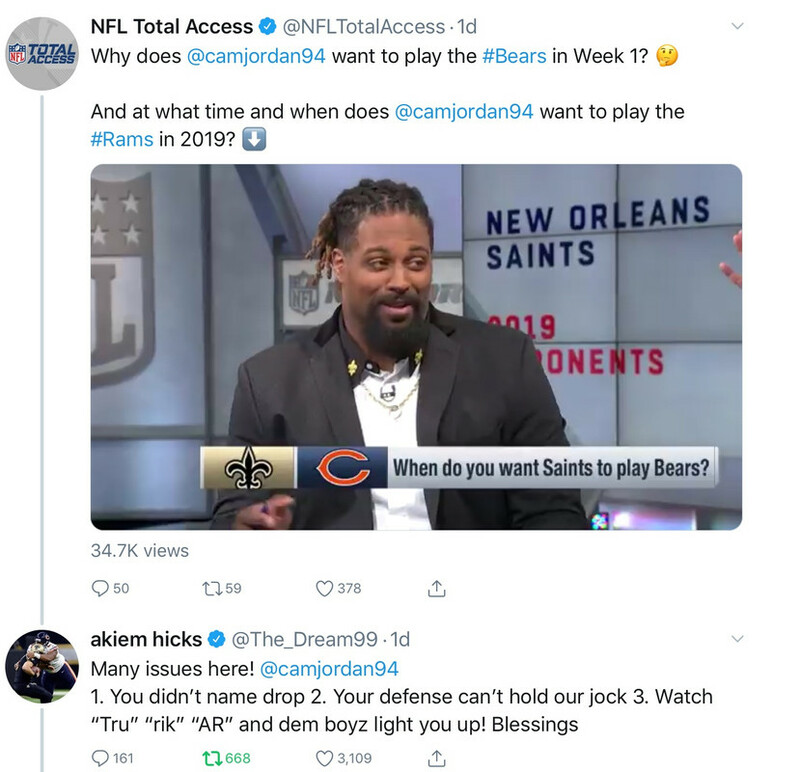 I think Hicks is an All-Pro caliber 3-4 DE! Understand and agree the Pro-Bowl is/has become nothing more than a popularity contest. Doesn't make make it right however.... Don't even get me started on the modern Pro-Bowl system, between scheduling the game between the Championship games and the SB and letting the selection process turn into what it is they have completely ruined the damn thing. It barely had any meaning in the first place, now it lacks meaning as well as interest. That being said Hicks is for sure an All-Pro and I also agree that carries much more weight now days. Well our Akiem is not known for holding back!